Paul-André Robert (1901-1977) was a Swiss artist and naturalist. 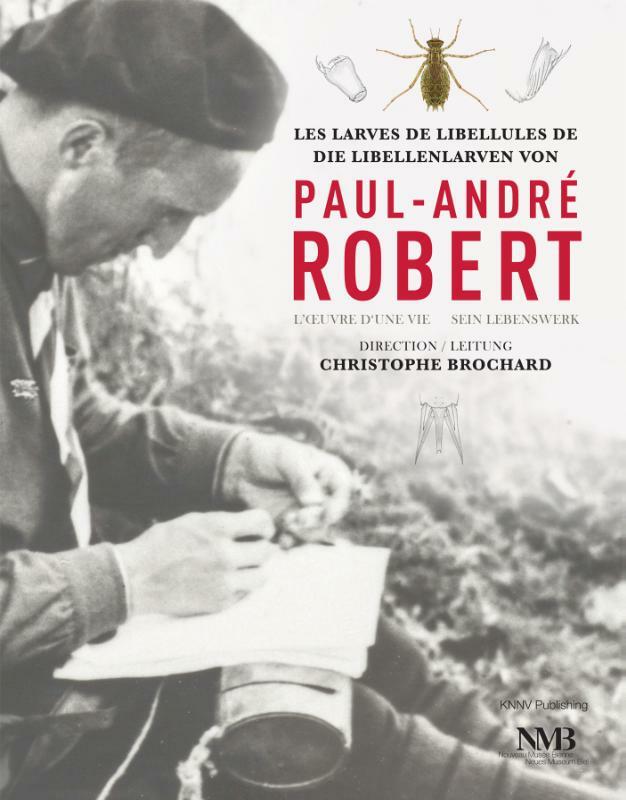 In Europe Robert is best known for his book Les Libellules (‘Dragonflies’), which appeared in 1958. Less well-known is the fact that Robert began to work on a monumental monograph on European dragonfly larvae at the age of sixteen. Producing the manuscript, containing text as well as illustrations, consumed most of his life and was only just completed at the time of his death. This magnificent work remained unpublished until now. This book finally presents Robert’s 107 watercolour illustrations of dragonfly larvae, all in their original size and of unparalleled beauty and scientific precision. In addition, the book features his numerous line drawings and pencil sketches of morphological details, descriptions of species and an identification key. This book, which is bilingual (French and German), is a unique combination of art and science. It is an invaluable resource for entomology professionals and a significant collector’s item for admirers of high-quality entomological books. It is also a stunning piece of artwork that will please anyone with an interest in natural history, realistic art and illustration. As an honorary tribute to Robert, an international team of dragonfly experts added an extensive introduction to the book.